Hammond, Indiana is the largest city by population in Northwest Indiana and is conveniently located in the very northwest corner of the state bordering Lake Michigan and the City of Chicago. 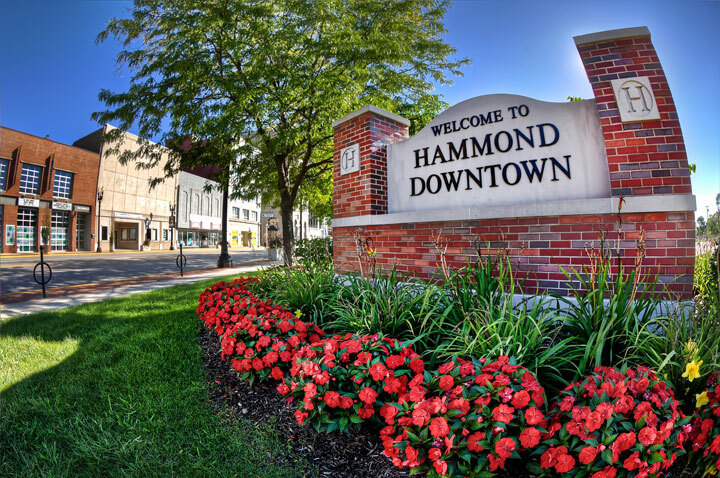 With numerous parks, schools, universities, a marina, multiple entertainment venues, restaurants, and retail, Hammond is shining brighter than ever. Downtown Hammond is on the rebound and commercial development is taking place throughout the city. Popular photos of Hammond, Indiana include the Hammond Marina, the Horseshoe Casino, downtown Hammond, Harrison Park, Purdue University Calumet, Optimist Little League, the Erie-Lackawanna Bike Trail, the Little Calumet River, Gibson Woods, and more. © 2014 Joey B. Lax-Salinas, all rights reserved. For more information about licensing this photo for commercial use, please visit www.northwestindianaphotos.com/licensing_information/.